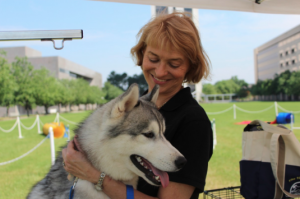 90 – AKC Government Relations is Fighting for You! – Phil Guidry, J.D. 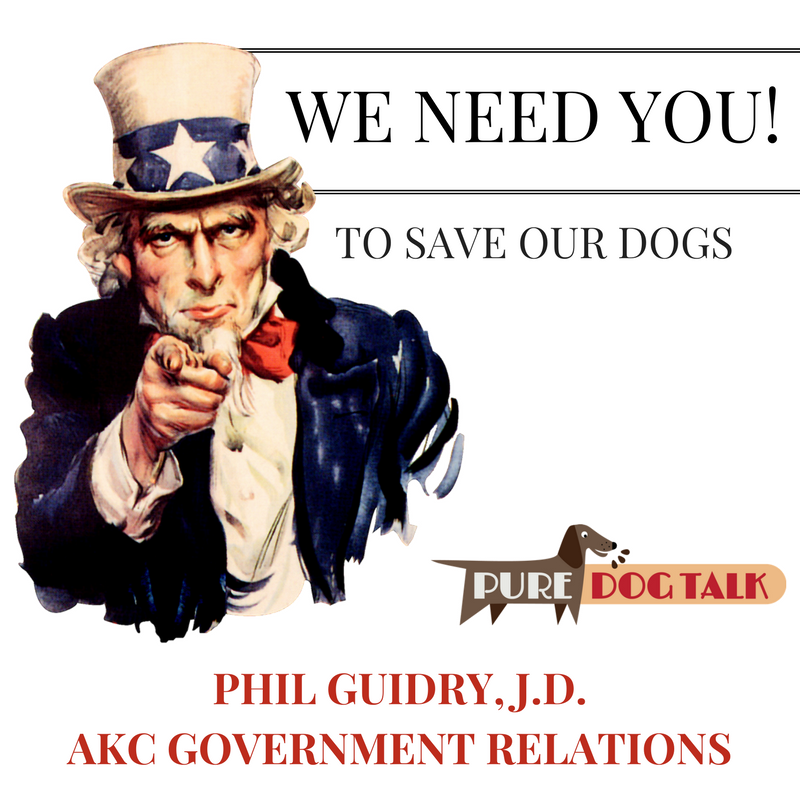 AKC Government Relations – Phil Guidry, J.D. 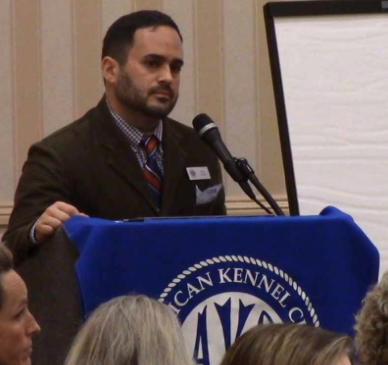 Junior Handler and Cocker Spaniel breeder to attorney helping to lead the fight at AKC Government Relations, Phil Guidry’s heart and soul is committed to the preservation of our breeds. Ever Wondered What To Do? Phil Guidry gives hope and practical answers on how each of us can help protect and preserve our rights from the animal rights agenda. You too can be a Super Hero! Phil outlines simple actions that each owner, breeder or purebred lover can take on a local level to help preserve your rights. Voters are more effective than lobbyists. “How do your eat an elephant? One bite at a time”. AKC Government Relations is here to help. Listen as Phil Guidry suggests adopting a single agenda and how to develop a relationship with local lawmakers. 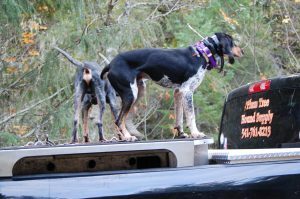 Rumor and Kent even showed up as high profile influencer’s for pro dog legislation. What Can You Do For Your Sport??? 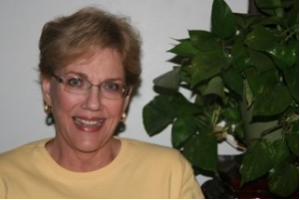 Click on the links below for resources and consider a donation to YOUR cause. Phil gained his first experience with AKC as a summer intern in 2002. After receiving his law degree from Loyola University-New Orleans, he returned to AKC in early-2006 as a member of the Internal Consulting Group. Before entering his current role, Phil served as Government Relations’ Sr. Policy Analyst for six years. Other positions he previously held with AKC include Legislative Analyst and Director of Registration Development. 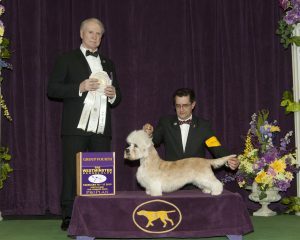 Phil’s involvement in purebred dogs dates back to the early 90s, when he started competing in junior showmanship, and claims handling his first Bred-by Exhibitor Champion Cocker Spaniel as his proudest achievement as a purebred dog fancier. He currently owns a mixed breed cuddle monster called “Phoebe” and a very naughty 14-week old PBGV puppy called “Tabasco”. Join in the fight to preserve your breeding rights! KNOW WHAT TO SAY, HOW TO RESPOND, AND HOW TO PRESERVE YOUR RIGHTS! AKC Toolbox gives your the answers! Be prepared for challenges from animal rights and legislators. Know what to say to your local city council. 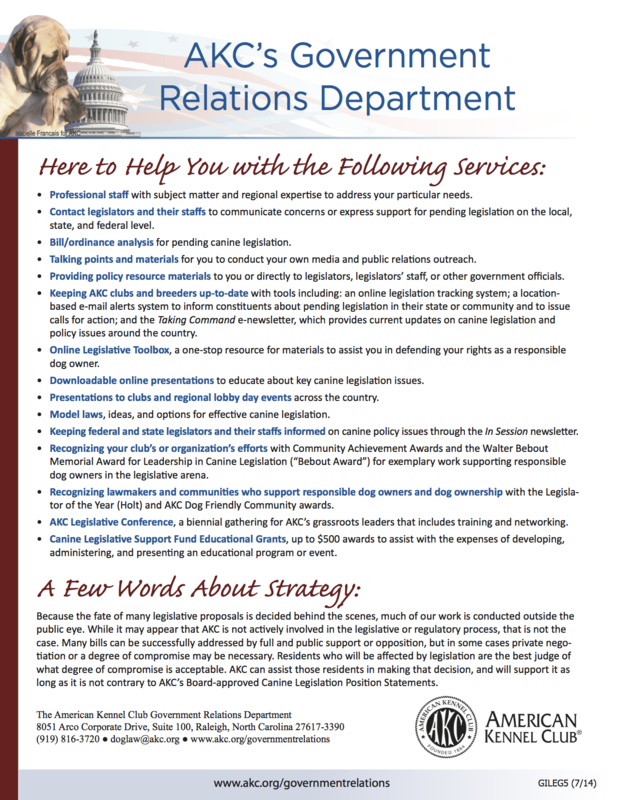 AKC Government Relations is here to help! We all need YOU to be the grassroots advocate. DONATE NOW TO SUPPORT YOUR BREEDING RIGHTS!